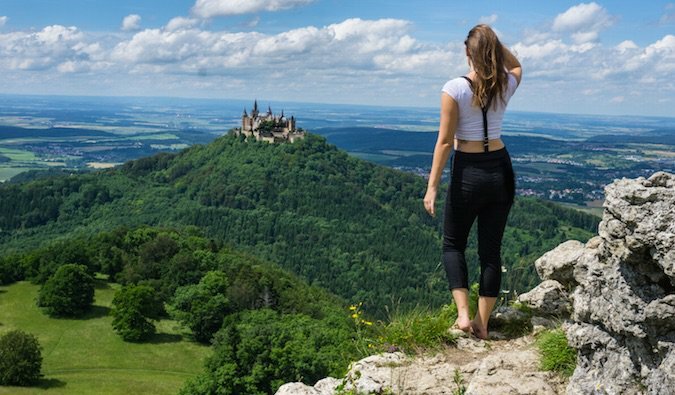 Whether you’re a seasoned solo traveler or you’re about to venture out on your first solo trip, simply continue reading to discover 5 smart solo female travel tips! While part of the fun of traveling alone is getting to enjoy well earned time to yourself if you ever find yourself in need of companionship there’s no shame in booking a day-long excursion. Which will give you an opportunity to meet and talk to other travelers and to potentially make new friends. Who you may decide to meet up with again in order to explore further attractions together. Examples of excursions which you may want to consider booking vary depending on your intended destination but may include a sailing excursion, a vineyard tour or a city tour. As a solo traveler, it’s worth investing in buying a suitcase which boasts sturdy easy to move wheels that can easily navigate cobblestone paths and uneven surfaces and will glide through large airports with ease. Alternatively, if you prefer to carry a backpack, make sure that the backpack you choose is comfortable and offers breathable vents on your back. To stop you from sweating when it gets hot. If you plan on taking part in adventurous activities such as hiking up a mountain or mountain biking in a remote forest, make sure to let someone know where you’ll be going and what time you should get back. So that in the case of an emergency, someone you know will be able to contact local rescue authorities for you. While you may want to let the reception staff at your hotel know your plans you can also email or message a family member or friend back home instead. Before embarking on your next solo trip, it may be worth attending a few self-defense classes, where you’ll be able to learn some handy self-defense moves. While you shouldn’t need to use the moves which you learn, when you travel, you’ll be less likely to be targeted by those who mean women harm if you walk with the confidence that you have the training to protect yourself. As most would be attackers don’t target women who walk confidently. Whether you’re feeling slightly nervous about an upcoming solo trip which you’ve already booked or you’re curious about learning handy tips on traveling solo, it’s well worth visiting the blogs of solo female travelers. As a bonus, when you read about the exciting adventures of other solo female travelers you’ll be even more inspired to travel solo. So what are you waiting for, why not start planning your next solo trip to an exotic locale that you’ve always wanted to visit?